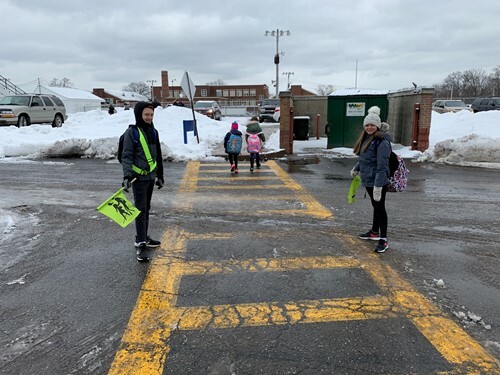 There are few students who would volunteer to arrive early or stay after school until all children have safely departed every day, but Roosevelt's safety patrol can be entrusted to do just that. These reliable fifth and sixth grade students endure cold temperatures, snowy mornings, and rainy days to volunteer their time to help their fellow classmates arrive to school and safely cross the streets. We recognize and appaud their efforts this school year!